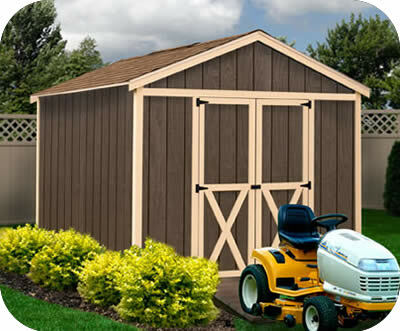 Storage sheds and storage buildings in large sizes for your home backyard from Arrow, Best Barns, DuraMax, EZup, Lifetime and Suncast. 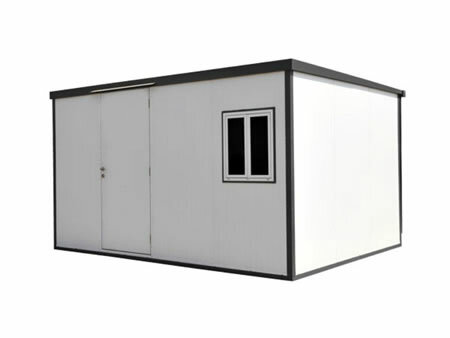 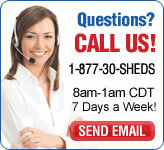 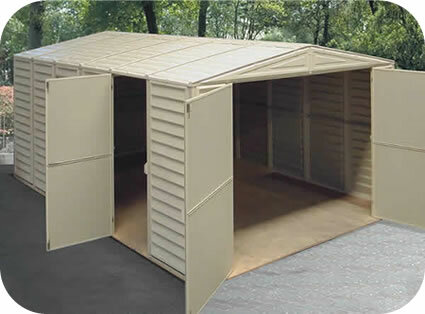 Choose from a wide selection of large backyard storage sheds in vinyl, wood, plastic and metal. 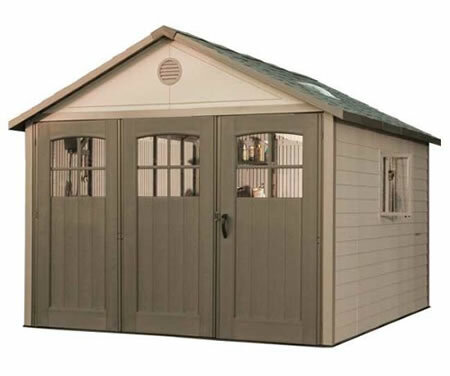 Get a low cost metal storage shed from Arrow Sheds or choose from our premium vinyl DuraMax storage sheds, resin Suncast Sheds or plastic Lifetime backyard sheds. 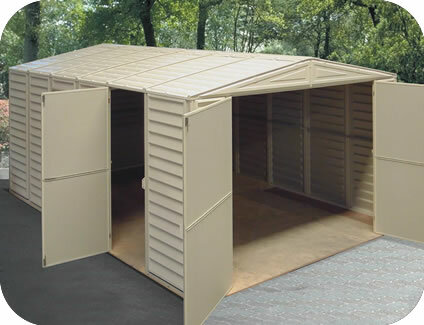 If you prefer wood storage sheds check out our high quality EZup and Best Barns brand outdoor storage sheds. 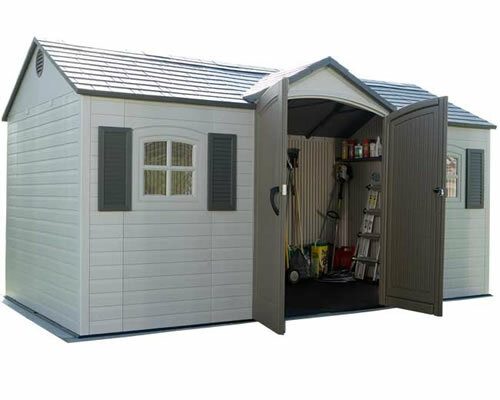 Whichever you choose, all of our storage sheds are easy to assemble and come with a 10 to 15 year warranty! 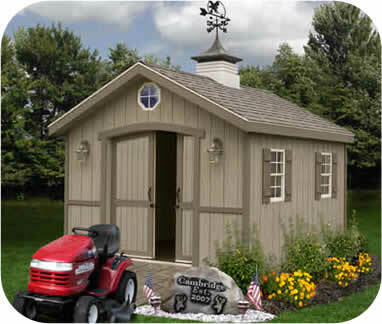 Solve your storage problems today with a new large outdoor storage shed for your home backyard! 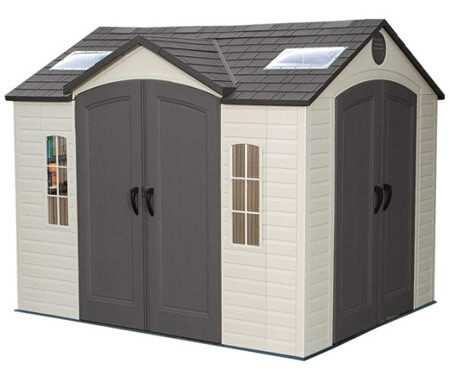 Our Lifetime 10x8 side entry plastic shed 60005 includes plastic flooring, 3 windows, 4 shelves, 1 peg strip w/ hooks, 2 vents and 2 skylights! 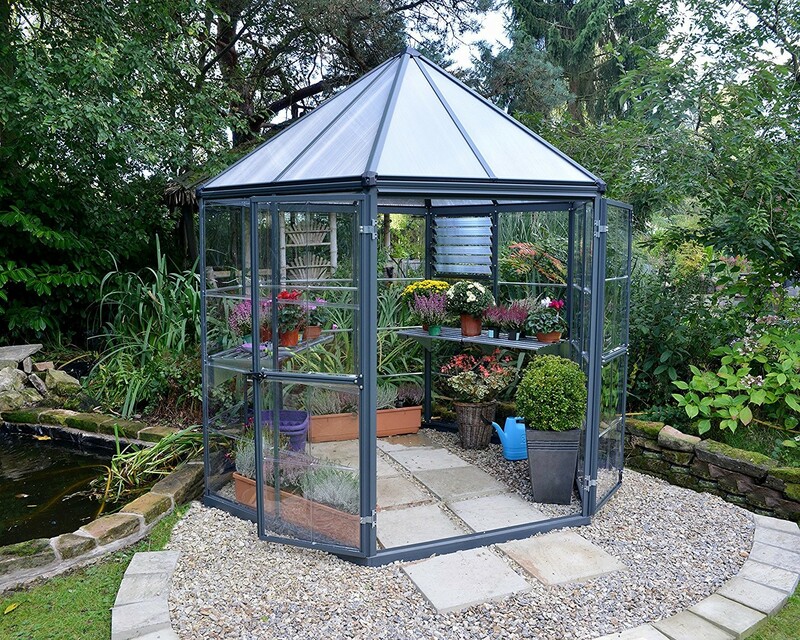 Enhance your garden's beauty and enjoy your outdoor living space with the Palram Oasis greenhouse. 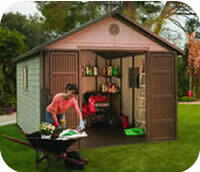 Our Arrow 12x10 Vinyl Murryhill outdoor storage shed kit offers extra large storage at a low cost! 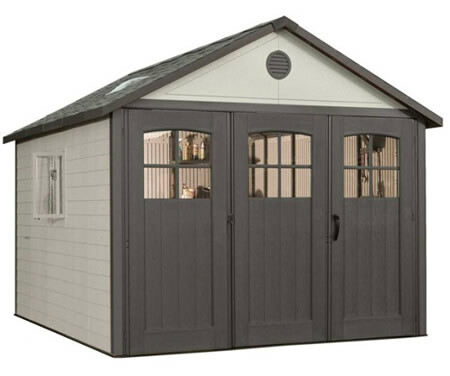 Galvanized steel with premium vinyl coating. 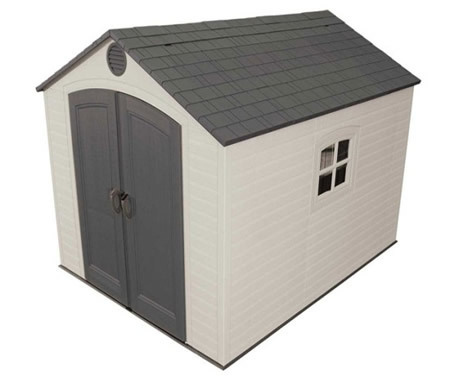 The Palram 8x12 SkyLight Shed is perfect for storing organizing and protecting your outdoor life. 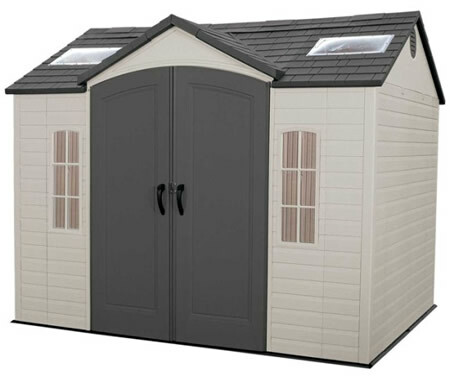 Our Lifetime 15x8 side entry shed 6446 includes flooring, 2 windows, 6 shelves, 2 peg strips w/ hooks, 2 vents & 6 skylights! 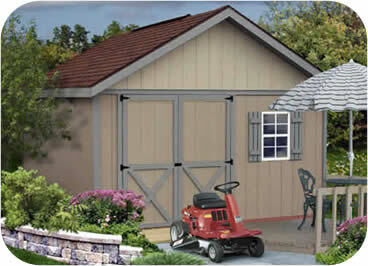 Our DuraMax 10.5 x 15.5 pvc vinyl garage includes 1 side door, 1 foundation kit and extra wide double doors! 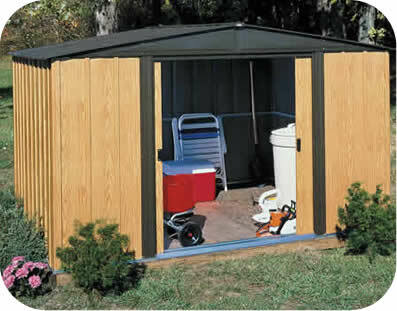 The Palram 8x16 SkyLight Shed is perfect for storing organizing and protecting your outdoor life. 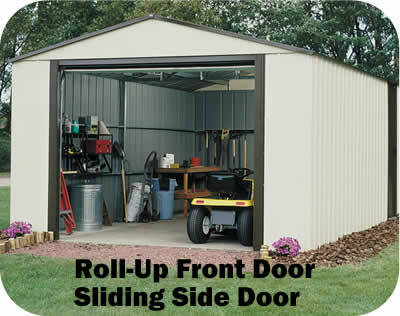 Our DuraMax 10.5x18 pvc vinyl garage kit includes 1 side door, 1 foundation kit and extra wide double doors! 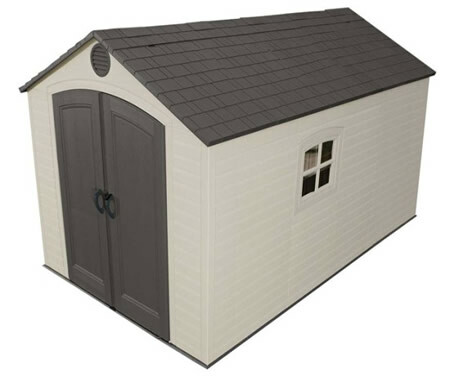 The Lifetime 11x11 plastic outdoor shed 6433 includes flooring, 2 windows, 7 shelves, 2 peg strips w/ hooks, 2 vents and 2 skylights! 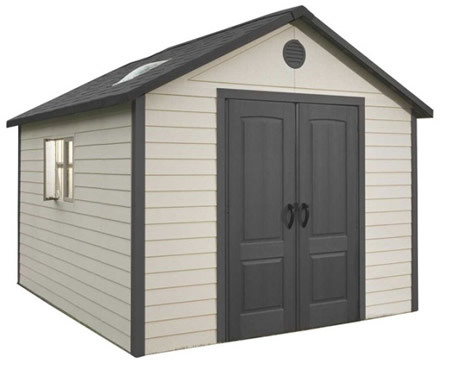 The Lifetime 11x13.5 plastic outdoor shed 6415 includes flooring, 2 windows, 7 shelves, 2 peg strips w/ hooks, 2 vents and 2 skylights! 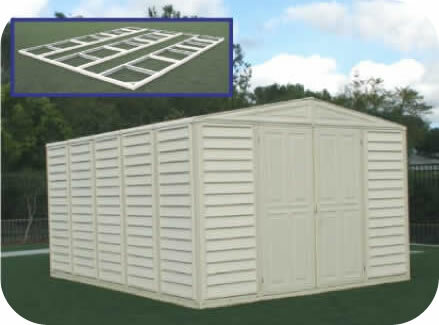 The Lifetime 11x11 plastic outdoor shed 60187 includes 9' wide doors, floor, 2 windows, 7 shelves, 2 peg strips, 2 vents and 2 skylights! 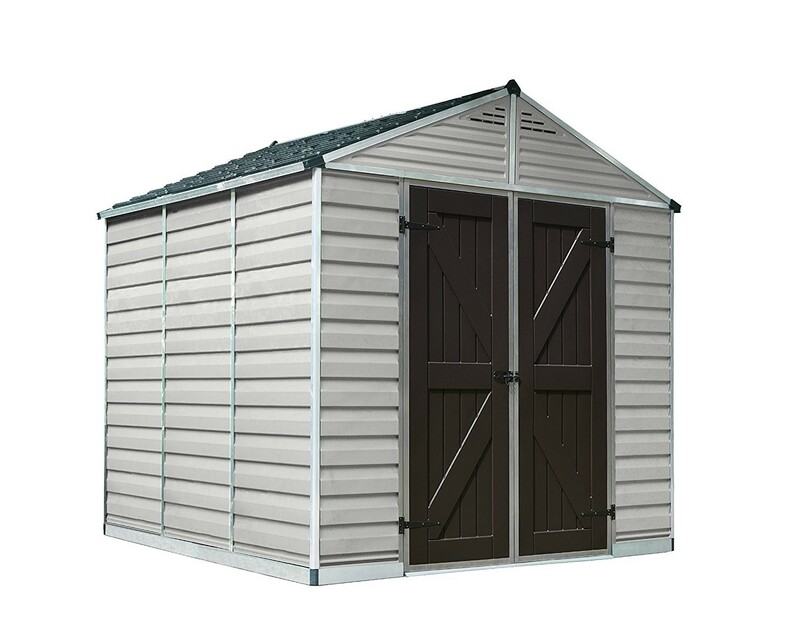 The Lifetime 11x18.5 plastic outdoor shed kit 60236 has 9' wide doors, floor, 4 windows, 2 shelves, 2 peg strips, 2 vents and 2 skylights! 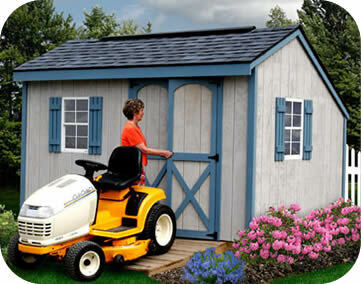 Our Duramax 13x10 insulated cabin storage shed provides secure storage and keeps inside items 15% cooler or warmer than outside temps! 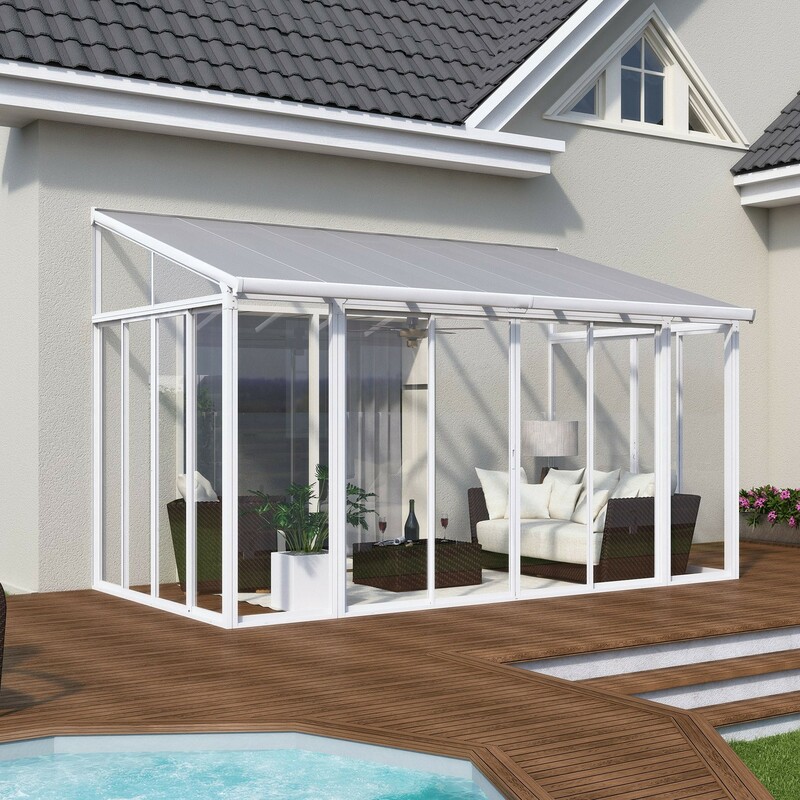 The San Remo Patio Enclosure is a sophisticated home addition providing you an affordable and maintenance free space for relaxation.